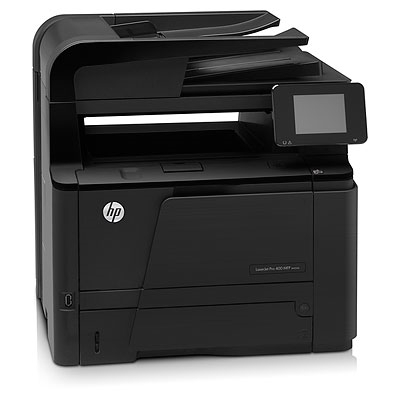 The HP LaserJet Pro 400 M425dn multifunction printer produces professional documents in less time with its 35 ppm print and copy speeds. Make great looking prints in sizes ranging from 3" x 5" to 8.5" x 14" legal documents. The scan and fax capabilities allow you to do virtually everything from one machine. The 300 sheet media capacity allows you to breeze through bigger jobs without having to refill the trays.